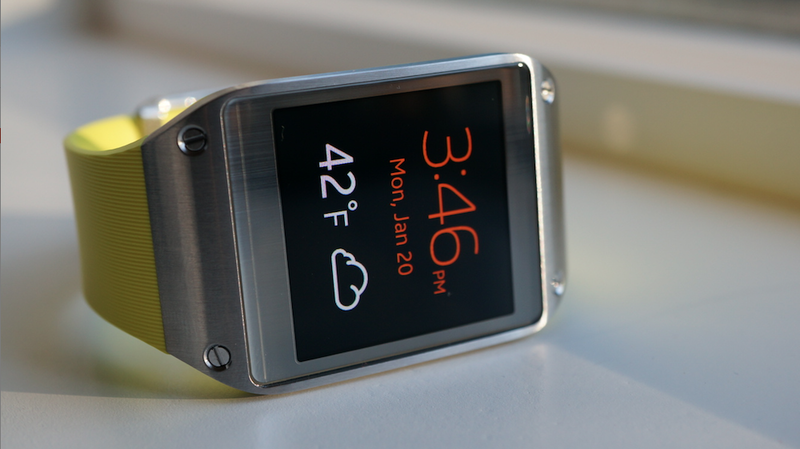 With rumors suggesting that a follow-up to Samsung’s Galaxy Gear smartwatch will arrive in a couple of weeks alongside the Galaxy S5, deals like today’s at Best Buy could come often. The electronics retailer has slashed $150 off the original full retail price of the Galaxy Gear, dropping it to $149.99 for today only in select (most) colors. We still aren’t sure how many of these were sold, but with reviews across the board claiming this product to be a rushed and bloated, overpriced failure, I’d imagine that there is plenty of stock to be sold off before the sequel is introduced. Again, don’t be surprised if other retailers outside of Best Buy show similar deals over the coming weeks. Through today’s BBY deal, you can grab the Galaxy Gear in rose gold, lime green (yellow), oatmeal beige, and wild orange at the $149.99 price. The jet black and mocha gray colors have been left at the recently reduced price of $249.99. Cheers Scott, Shane, and Dan!